Humorous cozy mystery with a touch of romance. 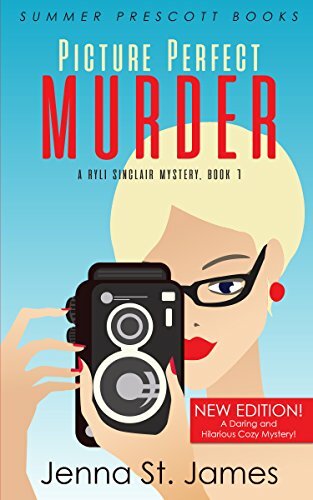 Ryli Jo Sinclair is a reporter for her small hometown newspaper and moonlights as the town’s forensic photographer. Ryli is intrigued by the new police chief, Garrett Kimble, who appears not to reciprocate her attention. She is called in to photograph the corpse of Dr. Vera Garver, whose heart and fingertips have been removed. She decides to investigate the crime herself with the help of her best friend Paige and her Aunt Shirley, a former private investigator who now lives in a nursing home. Aunt Shirley is hilarious and provides welcome comic relief. Since Dr. Garver is hated by almost everyone in town, there is no shortage of suspects to investigate. The mystery in Picture Perfect Murder is well plotted and the characters are inviting. While I eventually guessed the murderer, it was only after Ryli and her team had eliminated almost everyone else. If you like humorous cozy mysteries, you can’t go wrong in picking up Picture Perfect Murder. It is also currently available in Kindle Unlimited along with the second and third volume in the series. 4 stars. Thanks to the publisher, Summer Prescott Books, and netgalley for a free review copy.